#ilovecdm at TFWA Digital Village 2017! 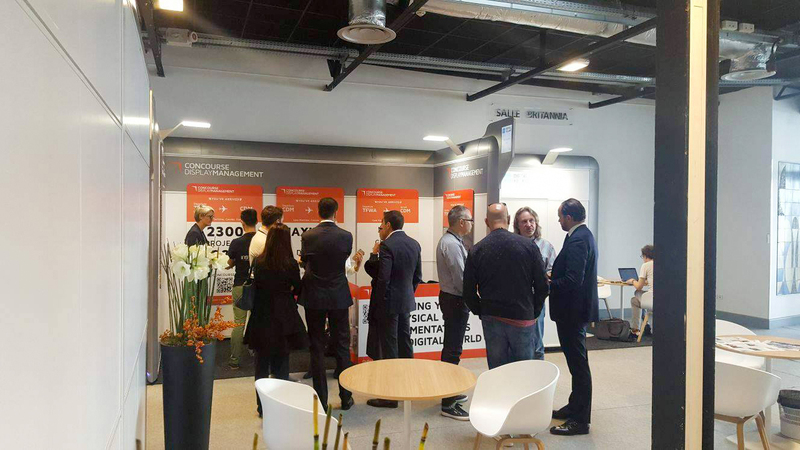 Concourse Display Management were proud to be part of the very first Digital Village at TFWA 2017. With our striking stand, compelling message of true global coverage, and the TR launch of an exciting new social media product, there wasn’t a quiet moment at our booth over any of the three days. In addition to presenting our class-leading, global implementation capabilities within travel retail, we introduced Instaroid, the best social media printer in the marketplace. We generated huge interest in Instaroid with our Instagram hashtag, #ilovecdm, allowing us to demonstrate in real-time this fun and innovative social media technology to brand managers, digital managers & CEOs from over 100 of the top brands in travel retail. The response to this clever device was unanimously positive, and was a great way for CDM to demonstrate how it’s leading the way in bringing the digital and physical together in TR. In addition to the high-level of interest at our stand, we were also invited to present Instaroid at the rather fabulous yacht party of one of the world’s foremost luxury consumer brands & immediately secured an order for a major branding launch later this year! A brilliant result & watch this space for the news on that event. Such was the success of our stand this year that we are committed to returning next October. Do have a look on our Instagram account and see for yourself the power of bringing social media to the physical spaces within TR!